Board of Higher Education meets at Valley City State University 9-27-18. Board member Dan Traynor said the Board is a Constitutionally-created entity – and that fact needs to be taken into account in any kind of governance discussion. 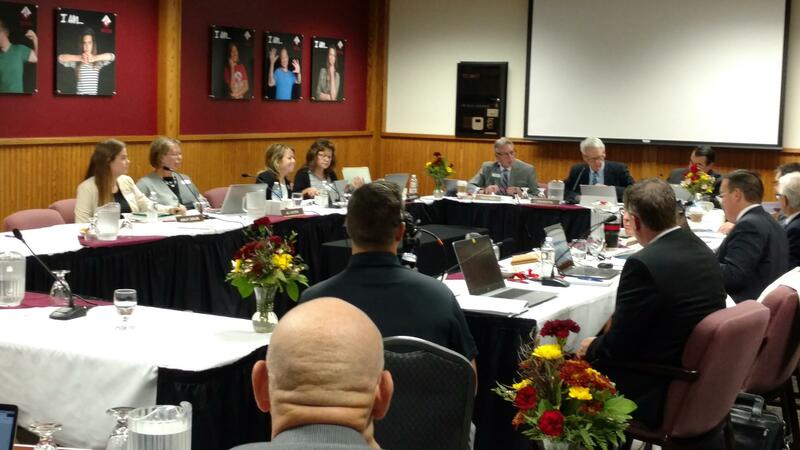 "This board, in total, is the Board of Higher Education, in total," Traynor said. "Not a subcommittee. Not three, not four of us -- it takes all of us to take action." Traynor said that's pursuant to the state Constitution. "I think we need to respect that," Traynor said. Traynor also said the structure can only be changed by a vote of the people. "I don't think that we should implement any change just because it was a topic of discussion at a task force," Traynor said. The Board did not take further action.